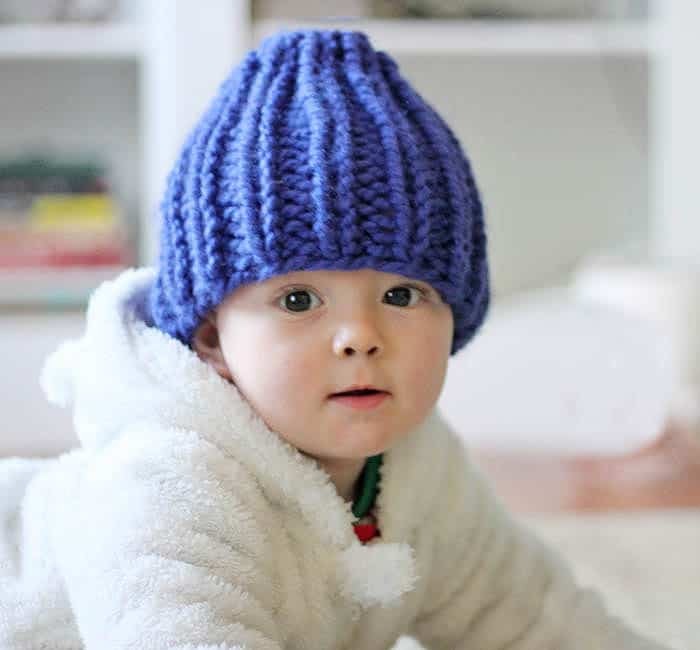 I love this Thick & Quick yarn so much that I knit my little guy this hat in several colors! 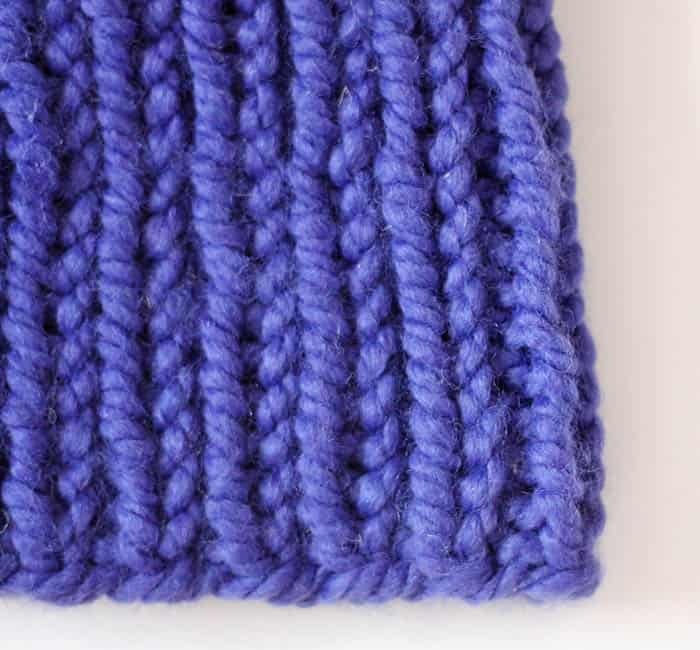 I made this knitting pattern really basic so it’s great for beginners. 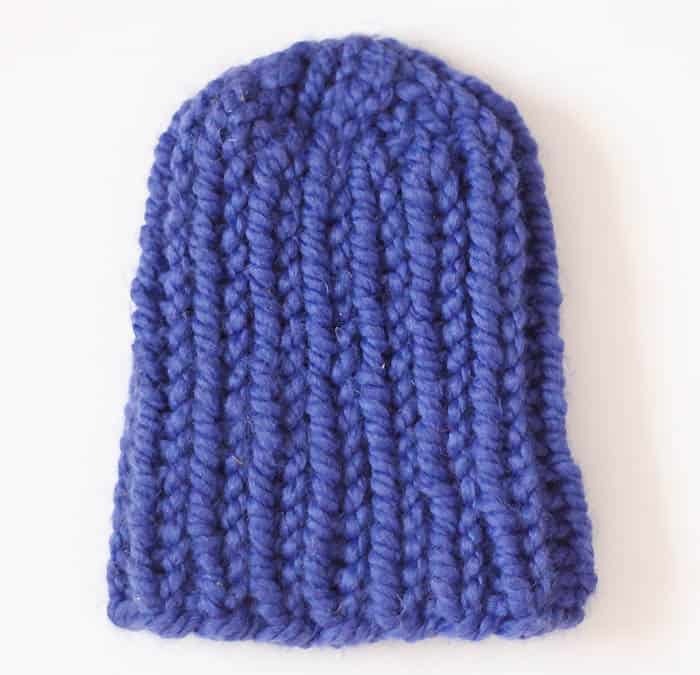 This hat knits up surprisingly fast thanks to the super bulky yarn and big needles. Cast on 28 sts (30, 32). Work in K1, P1 ribbing until pieces measures 6 (6 1/2, 7) inches. Crown Shaping for 6-12 Month: Knit 2 together until you are left with 7 sts, then K1, K2 together across row until you are left with 5 sts. Cut yarn, leaving a long tail. Thread tail through stitches of last row, pull to secure and make a knot. 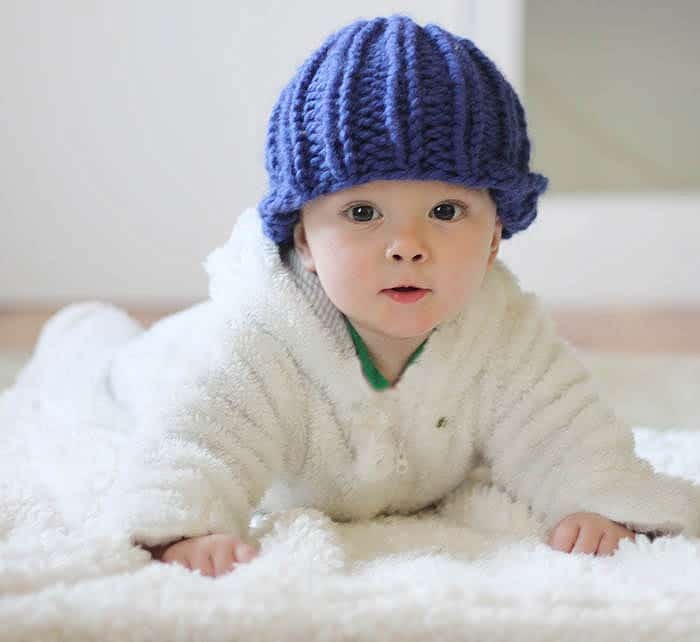 Crown Shaping for 12-18 Month: Knit 2 together across the row (15 sts) K1, K2 together across next row (10 sts) Knit 2 together (5 sts) Cut yarn, leaving a long tail. Thread tail through stitches of last row, pull to secure and make a knot. Crown Shaping for 12-18 Month: Knit 2 together until you are left with 4 sts. Cut yarn, leaving a long tail. Thread tail through stitches of last row, pull to secure and make a knot. So cute!! What a beautiful baby!! !